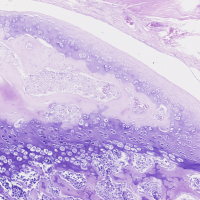 Paragon stain use to display specific cartilage destruction/reconstruction link to pathology (i.e. arthrosis). An other interest to study osteo-integration of medical devices. 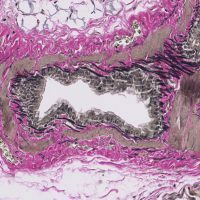 Verhoeff’s staining highlights elastin fibers on histological sections. It allows to characterize structural changes in vessels in the frame of pulmonary hypertension models. 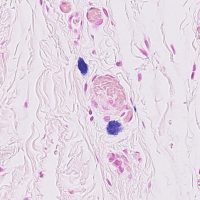 Toluidine blue allows to highlight the mast cells in connective tissues. We can observe their proliferation and degranulation level as part of mastocytosis for exemple. Quantification of insulin by image analysis in a rat model of hypertension. 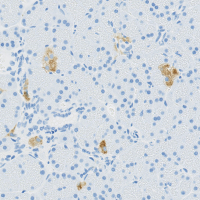 Characterization of an animal model of colitis in the humanized mouse. Liver fibrosis is formed following a chronic localized inflammation which replaces the supporting tissue with fibrous and dense plaques. In an advanced stage such as cirrhosis, the exchanges between the hepatocytes and the blood circulation are reduced tending towards liver failure. 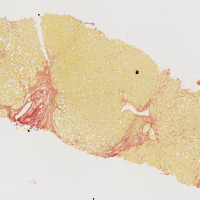 HISTALIM has designed a tool to identify the fibrotic areas using collagen labelling. 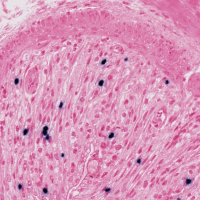 Following image analysis, it makes it possible to quantify the collagen and to objectively determine a classification of the level of fibrosis. Atherosclerosis is a form of arteriosclerosis which is characterized by the formation of atheromatous plaques in the inner layer (intima) of the arteries. The accumulation of cells, lipids and other debris in the arteries can lead to thrombosis which could cause embolism (principal cause of myocardial infarction or CVA). HISTALIM has developed and validated a method of image analysis making it possible to characterize the spatial distribution of lipids and collagen in the atheromatous plaques. We present, in this video, the results obtained in a section of the mouse aorta as part of an efficacy test of a therapeutic molecule.